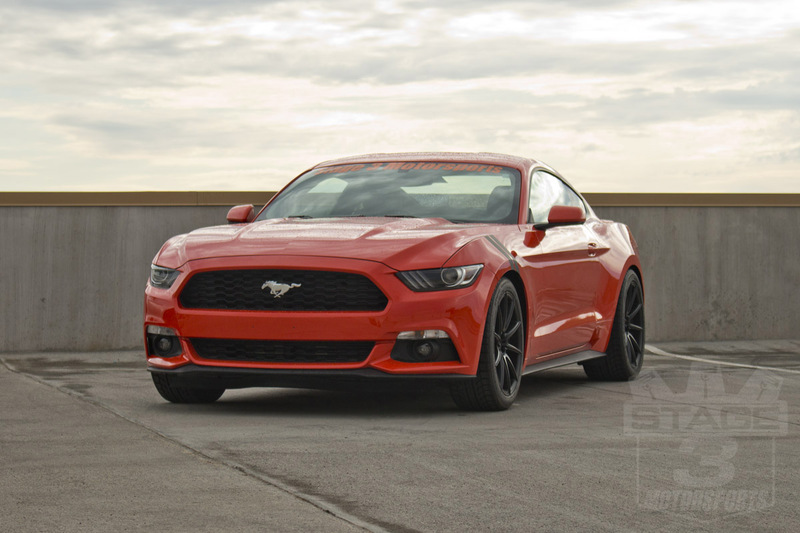 2015 Mustang 2.3L EcoBoost "EcoStang"
We put in our order for a totally-not-ostentatious Competition Orange 2015 Mustang 2.3L EcoBoost, and it arrived in style. We have pretty big plans for this quick little car, and we're pumped to throw just about whatever we can get our greedy little paws on right at it just to see what happens. 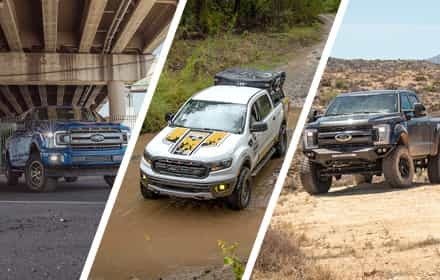 If it's anything like the rest of the EcoBoost lineup, a few bolts and custom tuning will bring out the beast, while a host of suspension and drivetrain mods will turn it into a corner-carving monster. We weren't exactly fans of the tiny 17" wheels and and ridiculously tall Hankook Ventus tires with their huge sidewalls. Granted, that's what we got for ordering a base EcoBoost Mustang. Needless to say, the first thing we did after the car got here was to throw a new set of wheels and tires onto it. So we grabbed ourselves some 19" staggered wheels from Ultimate Performance and BFG tires for all four corners, and set them all to get mounted, balanced, and then installed on our EcoStang. You get all the details and see more images over yonder. The bad news was that our 2015 Mustang EcoBoost Project Car needed more power and less turbo lag, the good news is that a good tune and a few bolt-on added a ton of extra toque to our aggressive Pony build in relatively no time. Currently, we're running a COBB Off-the-Shelf 91 octane tune and an Airaid Cold Air Intake that worked together to increase our Mustang's output by a whopping 60lb-ft of torque at the tires. We did lose some peak horsepower due to the stock intercooler's heat-soak, but a new intercooler is on its way! Read more about it over here. 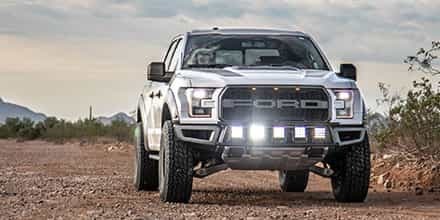 While our power and handling had been improved significantly, there was still some more room to improve, and we desperately wanted to battle back against the heat-soak that has been plaguing our EcoBoost since we added the COB OTS tune. So, we grabbed some suspension parts from Eibach, an upgraded intercooler system from Full-Race, a catch-can from UPR, and a blow-off valve from Turbosmart. The combination worked its magic flawlessly, and our 2015 Mustang picked up some power and got much more spritely through the corners. Your can read all the juicy details right over here. 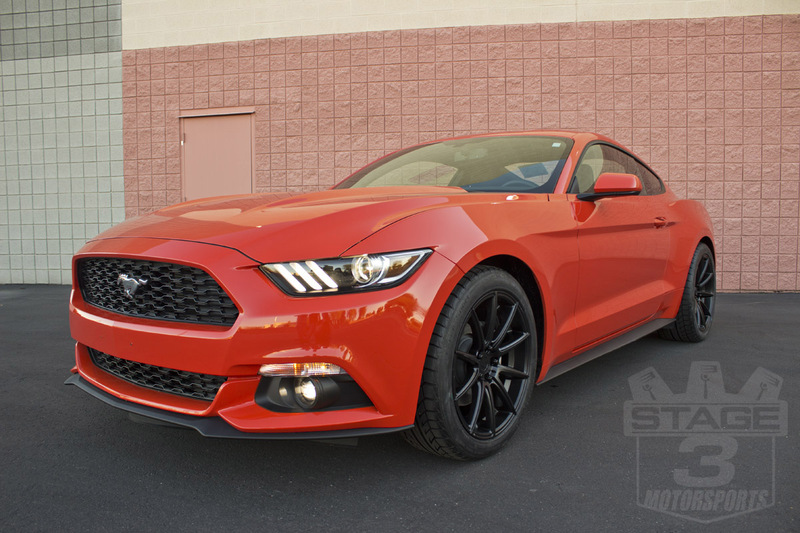 While we waited in a limbo of sorts for some of our more powerful upgrades to show up, we decided to tackle some of the finer details of our 2015 Mustang EcoBoost Project car. 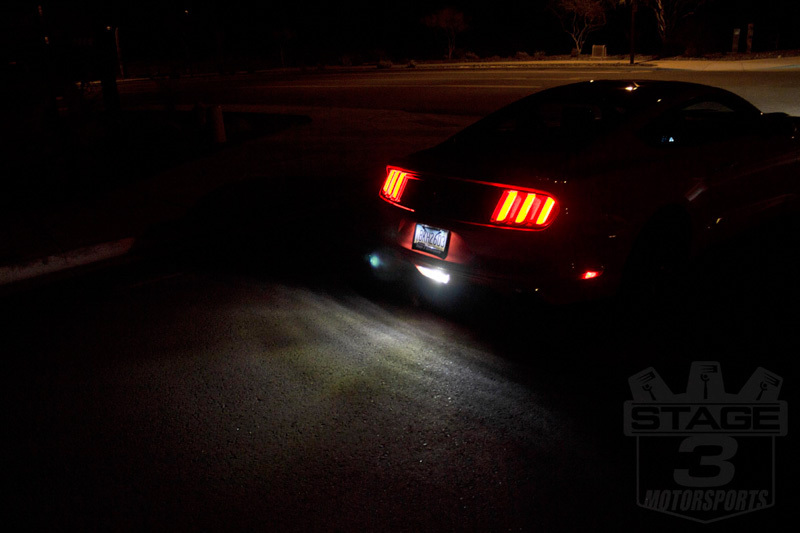 So we grabbed ourselves an LED interior lighting package and a powerful LED reverse light from Diode Dynamics. Next, we dropped in a full set of Kicker 6.5" KS-Series Speakers to give our base audio system a nice boost in sound quality and overall volume. 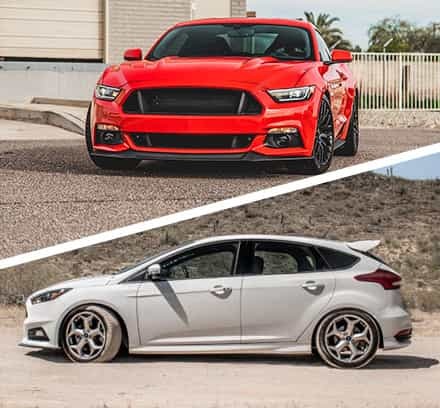 While none of these mods improved power or handling, they did make our 2015 Mustang EcoBoost Project Car that much easier to live with. You can get more details on these upgrades right here. 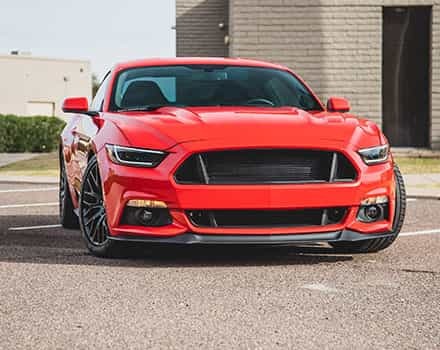 Ever since we heard that our old friends over at Air Lift were releasing their Air Ride Series of air suspension systems for the 2015 Mustangs, we knew we needed to have a kit for our own project car. Well, all our longing was not in vain, and got an Air Lift Air Ride Digital Suspension System up and running on our car. The result is magnificent. The car looks awesome slammed, low, and everywhere else in between thanks to Air Lift's awesome kit. Read more about it right over here. 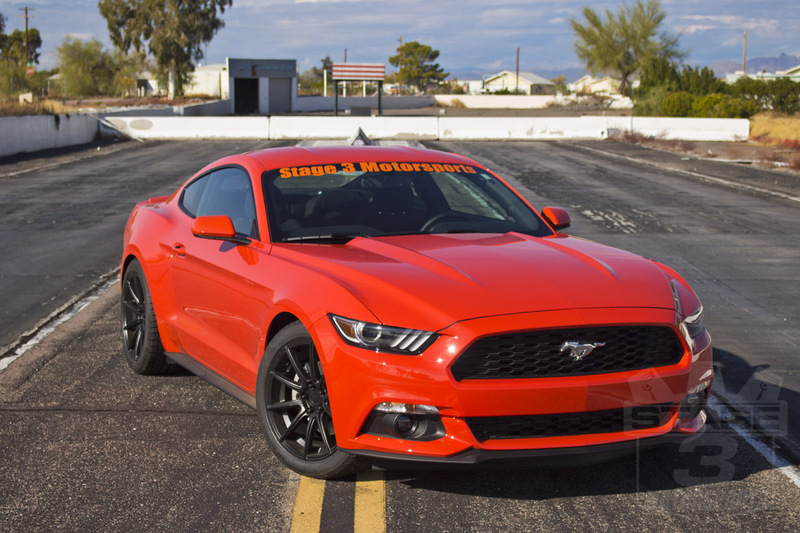 What we could next with out 2015 Mustang Project Car's looks was a very good question. We were kind of at a loss about where we could take it, but then TruFiber came to our rescue with a bunch of Carbon Fiber body pieces, engine dress-up, and interior parts that we just couldn't say no to. 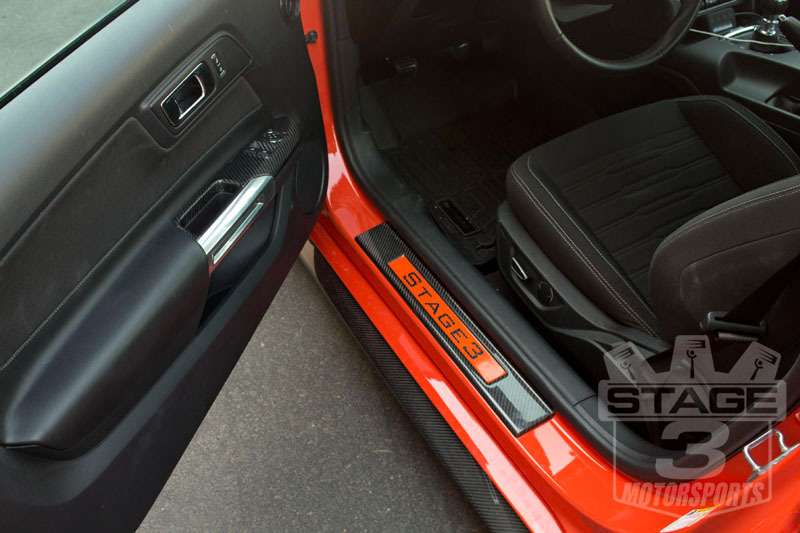 So, we grabbed as many as we could and got them installed on our 2015 Mustang Project Car. 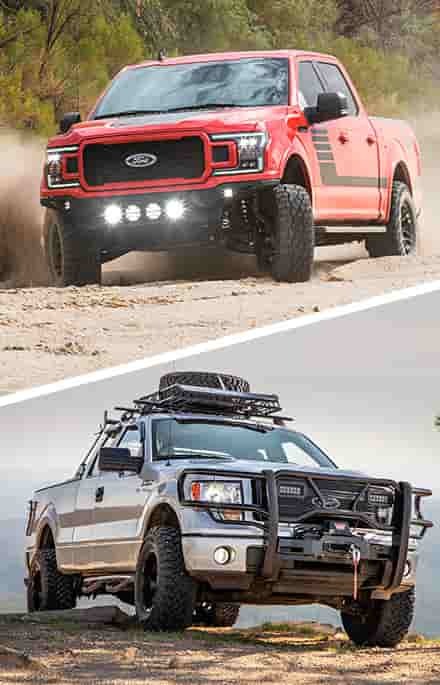 Stage 3's EcoStang Project Car in the News! 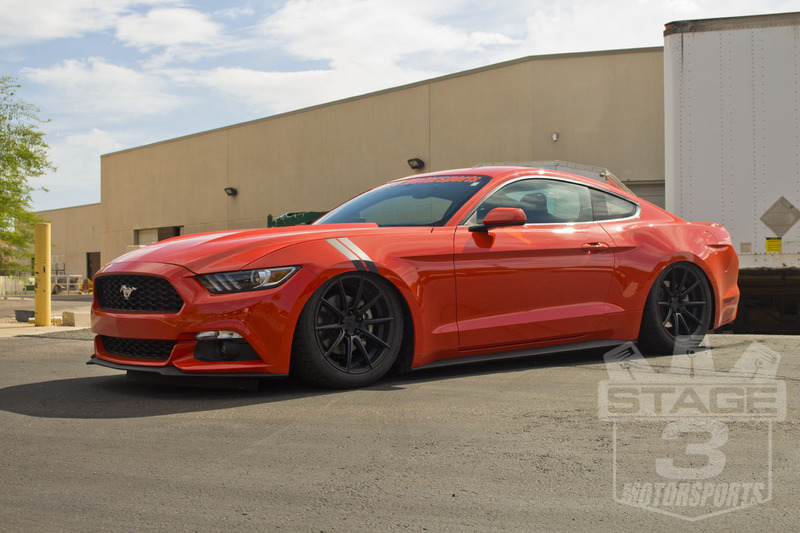 Our old friends over at The Mustang News swung by Stage 3 the other day to come take a look at our 2015 Mustang EcoBoost Project car, and we're pretty sure they left fairly impressed. 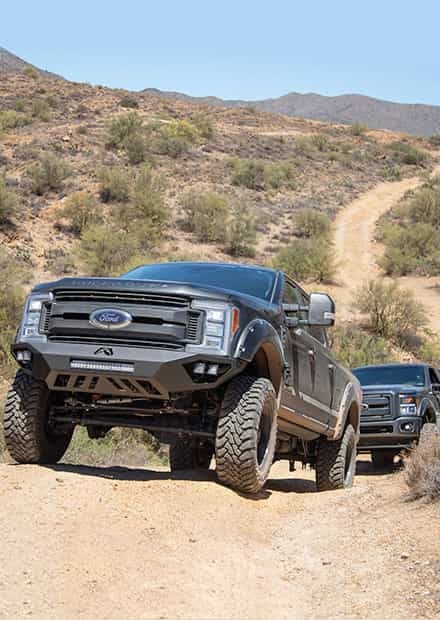 They did features on both the car itself and on its Air Lift Air Ride Digital Suspension Kit. For even more, you can check out their videos below!